K. T. Muhammed (Malayalam: കെ. ട്ടി. 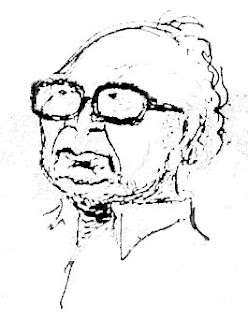 മുഹമ്മദ്) (1927 – March 25, 2008), popularly known as KT, was a famous Malayalam playwright and screenwriter. He had scripted about 40 stage plays, including Idhu Bhumiyanu (This is the Earth), considered to be his masterpiece. He had also written screenplay for about 20 films including Kandambacha Kottu, Thurakkatha Vathil, and Kadalpalam. KT was a recipient of Sangeet Natak Akademi Award. K.T. was born in Manjeri in Malappuram district as the eldest son of a policeman and had very little formal education. After schooling he worked as a clerk in the postal department. In 1952 he got the first prize in an all India short story contest for his story Kannukal (Eyes) which was later translated into many foreign languages. 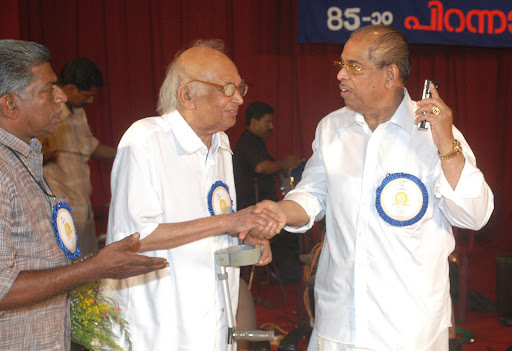 He was an active member of Brothers Music Club of Kozhikode which was the training ground of many famous artists. He worked as the editor of Chithrakarthika weekly for a brief period of time. He started Sangamam Theatre a professional drama troup which staged many of his famous plays both inside and outside the state. In 1971, he was nominated as the Chairman of Kerala Sangeetha Nadaka Academy and in 1974 as Chairman of Kerala State Film Development Corporation. He died on March 25, 2008 at Calicut. His plays celebrate the values of basic human dignity which transcend the barriers of religion or community. Bahrain Keraleeya Samajam "Sahithya Award", 2005. For KT, as he was known, spent all his life in rented houses in various parts of the city of Kozhikode, and his final abode happened to be in Pavangad, very close to my own home. Earlier he lived for many years at Puhtiuyangadi where one could see the dilapidated name-board of the Kalinga Theatres hanging in front,(then one day the old rope gave in, the board fell down and it was kept on the verandah, its paint missing in places),which managed the small group of theatre artists that staged his later plays. It was Sangamam Theatres which used to stage his plays but when he fell out with some of those behind it, he set up Kalinga with his brother K T Sayed as the key person running it. Sayed was not only the manager of his theatre group, he was the main actor also, a role which ill-fitted his stiff manners. When I watched many KT plays in the late seventies and early eighties when he was active, I felt Sayed was not the man for his characters but Sayed thought otherwise and KT had no option but to accept it. KT in many ways was a hapless victim of circumstances, and often he violently clashed with them through his powerful plays, his words interrupted with a heavy, asthmatic breath, his open expressions of feelings… he often wept as he spoke on the stage, and he was unable to complete a sentence without tears streaming out of his eyes. He was such a sensitive soul, for whom life was a long journey in loneliness. As a playwright, KT discovered himself because he had no contact with any theatre movements or any in-depth reading in world literature. But the early fifties and sixties in Kozhikode was a period of strong theatre activism around public libraries and reading rooms like the Deshaposhini of Kuthiravattom. Anniversary occasions of these reading rooms were the time for staging of new plays and most of Kozhikode’s best known theatre artists and writers like Thikkodiyan, Kunhandi, Kuthiravattom Pappu and others came up through this movement. KT was no exception. It was the left political movement that gave strength and support to this new theatre movement. For the left, theatre was a vehicle for spreading their political message and naturally most of those who were associated with this theatre movement surrounding progressive libraries were writing on issues with a strong social and political message. K T Muhammed and E K Ayamu were among them and they addressed the social problems faced by their own community, the Muslims of Malabar. Most of KT's best known plays are a direct attack against the conservative values that reigned in the Muslim community and were clarion calls for change. My association with KT was through his nephew, P M Taj, who was the best playwright of his generation. Taj and KT were poles apart, the uncle belonging to an earlier generation and the nephew the most vocal voice of an impatient new generation that wanted to rewrite and even upset the grammar of theatre. Taj was a visionary, an artiste who could see through the clouds into a new world of evil and unhappiness unfolding, but his plays addressed a world which was coming a decade later and not many around him could understand him. He too was a loner, drifting to aimless drunkenness, and dying quite early in his life, a bitter man. We were close friends in the mid-seventies when we used to spend hours together discussing everything under the sun at the Ansari Park, now part of the Mananchira Square complex. It was there he used to speak about the plays he was planning to write and some of them later came to be known as classics in Malayalam, like Kudukka or the philosophy of those who are hungry, Mary Lawrence, Ravunni, Kanalattom, etc.